Some things just annoy you, like uneven eyebrows, and other things are both an annoyance and nuisance...like chapped lips. When the colder weather hits, I try my best to keep my lips as moisturized as possible so I don't get stuck with trying to heal chapped lips. After all, prevention is the best medicine right? It was only recently in my beauty journey that I discovered the key to keeping lips soft and supple is exfoliation and lip serums. Lip balms don't always do the trick since some contain ingredients that are super drying which cause you to use more. Rather than relying on lip balm, I started using lip serums and a weekly exfoliation routine. 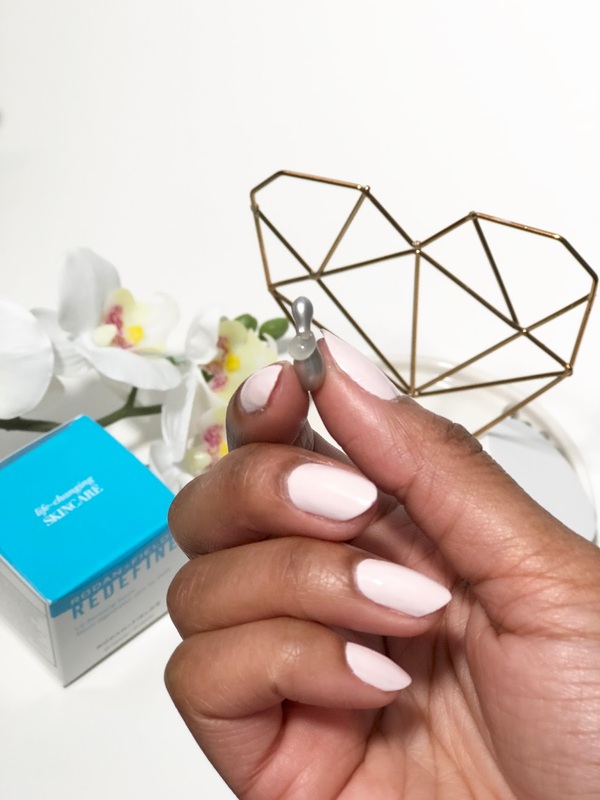 I got the chance to try a lip serum from Rodan and Fields and I'm thrilled to add this product to my daily self care routine. A huge thanks to Jen Lopez from the R and F team for spoiling me with this lovely product! The lip serum piqued my curiosity in so many ways. I was unfamiliar with this type of capsule so the first time I tried to open it I must have looked a bit silly. Was I supposed to pop it? Pull it? Twist it? (And if you're like me you immediately read that in the tune of the Bop It theme song LOL) The trick was to hold the bubble in your hand and twist off the smaller tip with your other hand. A gentle squeeze is all that's needed for the serum to come out of the capsule. I like that the portions are controlled this way so you know exactly how much to use and cross contamination is avoided since you don't have to put your fingers in anything. Another benefit to having the product in capsule form, is that the formula stays potent. Bis-Diglyceryl Polyacyladipate-2 is the first ingredient listed in this serum. It is used in some cosmetic and personal care products instead of lanolin. It functions as a skin conditioning agent or emollient. Polyisobutene is the second ingredient listed and is used to increase the thickness of the lipid (oil) portion of cosmetics and personal care products. It’s often used as a substitute for squalene. The next four ingredients are ones that we may be more familiar with; castor seed oil, sunflower seed oil, and jojoba/macadamia seed oil esters, and shea butter. Another ingredient that caught my eye that you might want to know about is squalene. While squalene is a natural component to human sebum, it is also found in large quantities in shark liver oil which is why some products that contain squalene won't be considered vegan or cruelty free. The first time I used this serum on my lips I felt a very pleasant tingling feeling. I loved that there was a ton of serum in the little capsules and there's plenty of serum for both your bottom and top lip. The consistency was thick but spreadable. I used this serum at night and when I woke up, I was surprised with how soft my lips were. 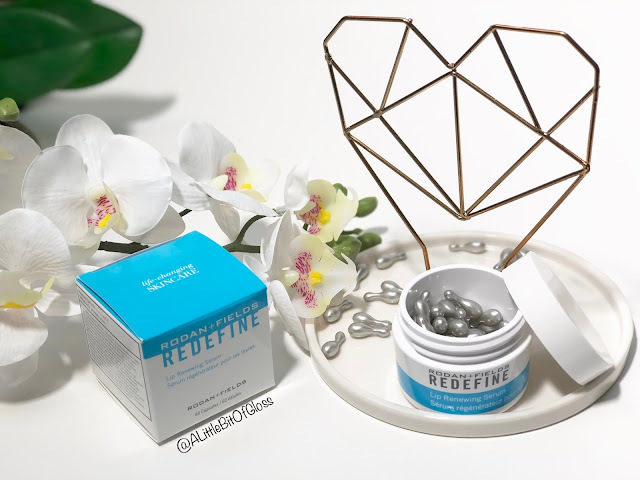 The jar has enough capsules to last you two months if you want to use one every day, and if you're like me, you'll use on every day to avoid getting chapped lips. After one week of use, I found that my lips were nourished and supple. I didn't even need to use lip balm or chap stick during the day because I was using this serum before I went to bed. Even though I'm battling dry skin because of the radiant heat in my house, my lips weren't dry. Incredible right?! If you're looking for a nourishing lip serum that actually works, check out what Rodan and Fields has to offer at http://jenlopez.myrandf.com/ Since spring has sprung (even though it doesn't feel like it in Toronto) you can try the lip renewing serum at a special price. There's a spring renewal gift set that has serums and creams to help you shake off those winter blues. Email Jen Lopez at jenniferlopezjgl@gmail.com to find out more :) If you're on Instagram, follow her for updates @love_in_nolita. So tell me, do you use a lip serum as part of your self care routine? What products are you loving right now? Let me know in the comments! I struggle with chapped lips all the time so I definitely think this could help me! Thanks for sharing this! Summer or Winter, I suffer with the problem of chapped lips. Normally I use organic coconut oil balm to get rid of chapped lips. But the product you mentioned has sparked my interest. I will surely try it. Some good tips in this! Will des try it as well. Hi Nicole, Let me know if you'd like to chat about the lip serum or any other products we have! I have heard great things about that brand. I need to try it, I'm feeling the wrinkles and I am not loving it lately. This seems like an intersting product. From your review it seems like an interesting product for lips. I would love to try it. Hi Prerna, Their lip serum is amazing. Please feel free to reach out for more information!